Martin (Marty) Adam Friedman was born in December 8, 1962 in Washington. When he was 14, after a Kiss concert, decided to learn guitar. In the beginning he took lessons from a hippie guitar teacher, but after a short while he stopped because of didn’t like the teacher’s lessons. After that he learned guitar by himself, and actually it helped to improve his own technique. Unlike most guitarists Marty started to play guitar right hands palm up not parallel to guitar’s body. Only one month starting to learn guitar he also started to give lessons. 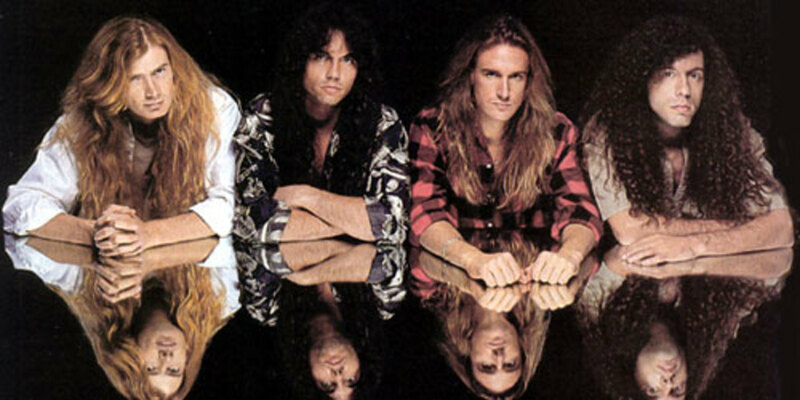 In 1986, legendary Metal Music company Shrapnel Records owner Mike Warney discovered Friedman and met him with Jason Becker to build a new group called Cacophony. Like Friedman, Becker was also a virtuoso guitarist and they record two albums together, Speed Metal Symphony (1987) and Go Off! (1988). The band was drawn attention with the duo’s harmony, fast shreds, melodic solos and technique. After they disbanded in 1989, Friedman joined Megadeth and Becker went solo and after a while joined to David Lee Roth band. Unfortunately at the age of 20, Becker was diagnosed with ALS and forced to quit playing. After disbanding the band Friedman joined the audition for Megadeth from a tip his fellow guitarist friend Jeff Loomis. Because of Loomis didn’t pass the audition, he decided to tell Friedman. When he met with Dave Mustaine (Frontman of Megadeth) he had rinsed hair and Mustaine fired him immediately. He went to second audition after he dyed his hair. He officially joined Megadeth in February 1990 and released the album Rust In Peace in September. Album was certified platinum and nominated for the Grammy’s Best Metal Performance. Rust In Peace was a huge success with excellent songs like Hangar 18, Holly Wars. It is still accepted as one of biggest metal albums of history by authorities and magazines like Decibel, Kerrang…and the guitar solo of Tornado Of Souls played by Friedman is one of the best solos in history. He appeared in the following four albums of Megadeth (1992 Countdown To Extinction, 1994 Youthanasia, 1997 Cryptic Writings, 1999 Risk) and quit the band in 2000. According to the interviews he accused Mustaine for playing pop metal instead of aggressive music. Altough they had musical differences continued to play for a while, until to the Risk album. In that album as always solos played by Friedman, as the song called Breadline. But Mustaine changed the solo and replaced his one without informing Friedman. In the following years when it was asked to Mustaine about that he replied as it‘s not his fault saying that: “That was a song Marty wanted to do the solo so badly. But the management said they didn’t like the solo. I agreed to redo it again. But Marty was gone and I played the solo. I told them they’d have to tell Marty. So the we’re sitting in the control room and song came on. Everyone was there, we were all excited and I was happy because I though they told Marty about the solo. So the song came up and there was my solo. Dave Ellefson (co-founder of Megadeth) and I looked over at Marty and he’s got tears coming down his face. I was like, -Oh My God ! You didn’t tell him!”. This was the end of Megadeth for Friedman. While he was playing with Megadeth, Friedman released three solo albums between 1992-96 with his band-mate Nick Menza on drums. When Friedman were in Japan for a concert with Cacophony, he was extremely impressed with Japan culture, while was in Megadeth started to learn Japanese and the culture. In 2003, after he quit playing with Megadeth, Friedman left America and became a permanent resident of Tokyo, where he started to explore new musical possibilities. He gave some gigs with Aikawa Nanase, a popular female hard rock singer. 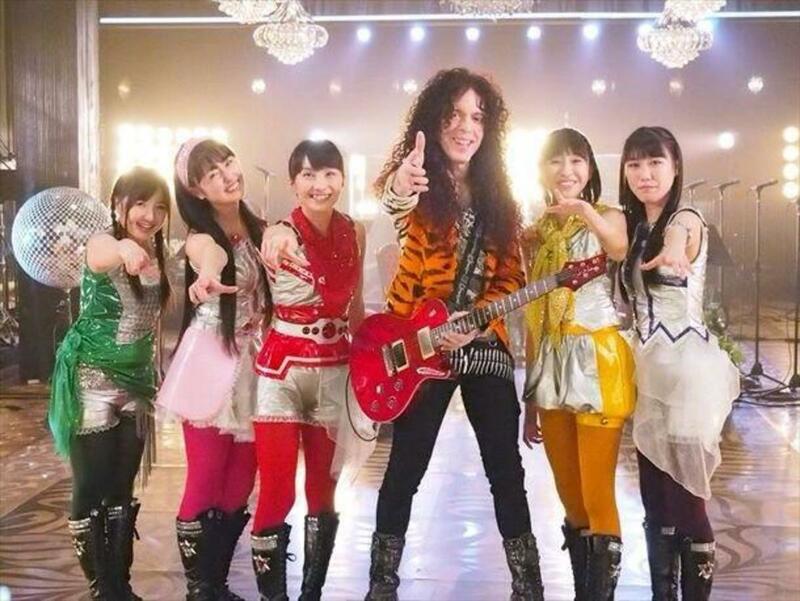 Friedman appeared in TV shows Hebimeta-san, Rock Fujiyama and many others as guest. He also writes columns for Guitar World magazine, Young Guitar magazine (Japan) and Burrn Magazine. He married in 2012, with Japanese cellist Hiyori Okuda. Until today he released eight albums mostly for the Japanese Market. In 2014 album, Inferno, he did a song together with Jason Becker -he was still suffering from ilness- called Horrors. His last album Wall of sound released in August 2017. Three singles was released from the album so far (Whiteworm, Self Pollution, Miracle) and the album had positive critical from the authorities. Friedman still goes solo although so many offers from Megadeth and other bands, living his own dream he says.